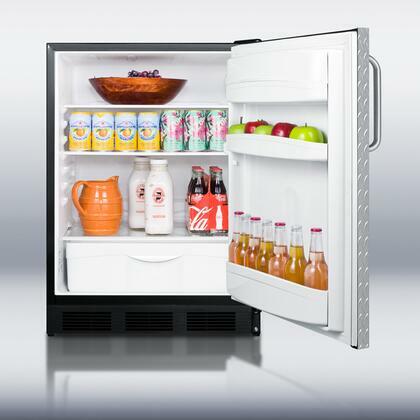 This ETL-S listed unit can be used built-in or freestanding. 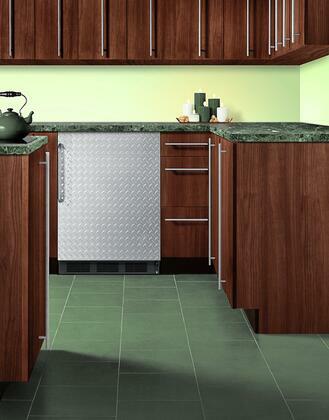 It has a black cabinet with a textured diamond plate wrapped door and professional towel bar handle. The 5.5 cu.ft. interior includes adjustable glass shelves, door storage, a crisper drawer and interior lighting. Automatic defrost saves on maintenance and SUMMIT’s original “hidden evaporator” creates a seamless interior for easy cleaning. 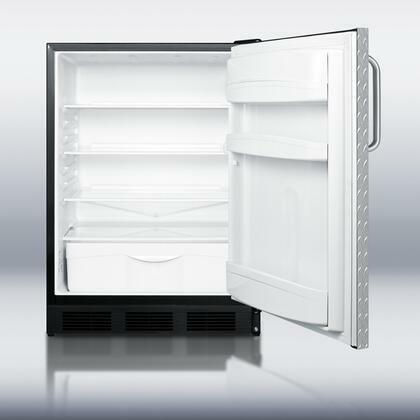 For a matching frost-free commercial freezer, see the SCFF55BDPL. Height to Hinge Cap 34.5"
My only criterion for a good appliance is dependability. Every Summit appliance I've owned has lasted at least 15 years. That's why I chose this refrigerator. I'm almost certain it won't disappoint, but you can rest assured you'll be hearing from me if it does. My husband was fed up with our last fridge so we did some research and decided that All Refrigerator fridges would match our kitchen the best. AppliancesConnection.com had great bundles and we saved a lot when we bought our Summit fridge! Honestly? 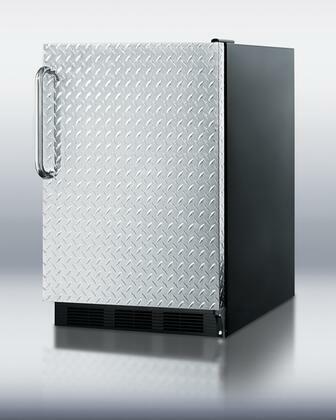 If you buy anything other than this Summit refrigerator, you're just throwing money away. For the fifth time in three weeks I found myself shoulders deep in my refrigerator, contents strewn about me, scraping frost from its ceiling. I thought, "Why am I wasting my time with this?!" 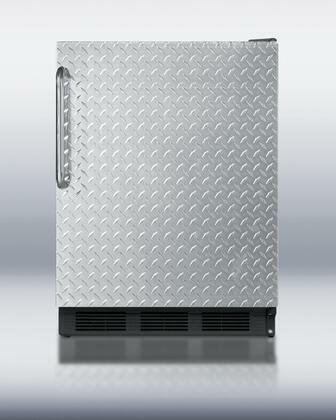 Went on AppliancesConnection.com and they had this new Summit refrigerator for me in two days. They even carted the loathsome old one away for me.